"I think all of us know in our hearts something is terribly wrong with the weekly rate of these incidents." In this Oct. 15, 2016, file photo, host Josh Gad attends the 2016 Children's Hospital Los Angeles "Once Upon a Time" gala at L.A. Live Event Deck. 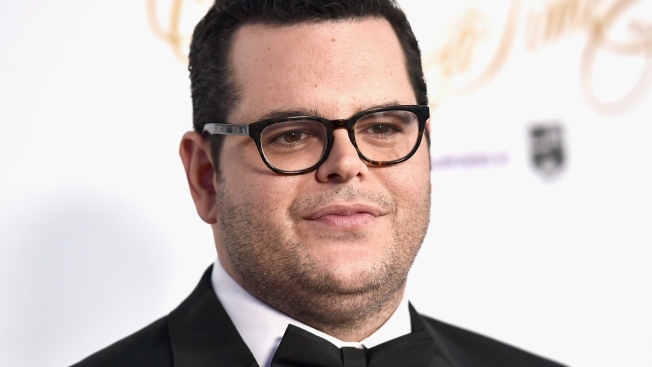 Actor and Florida native Josh Gad was personally affected by the Parkland high school shooting, he said on Twitter, having learned that a friend's son was one of the 17 people who died. The "Frozen" and "Beauty and the Beast" star grew up close to Parkland, Florida, and said Wednesday that he was "so angry" after learning the boy was hit in the chest by gunfire at Marjory Stoneman Douglas High School. The next morning, Gad tweeted that the boy, whom he didn't name, had passed away, and vowed to support everyone who runs against NRA-backed politicians and be "a voice of reason" in demanding action to stop gun violence. "I have walked the halls of Stoneman Douglass. I directly know a person trying to pick up the shattered pieces of his life now. I call this community my own," Gad said. "I think all of us know in our hearts something is terribly wrong with the weekly rate of these incidents." I am so angry tonight. I am so sad. I’m putting my phone down because we are debating sensible gun laws again. A child of one of our friend’s has a bullet in his chest & is critical condition because a 19 year old had access to a military weapon. Pretend it’s normal. It’s not. Last night, I received a text while I slept that our friend’s son passed away from his gun shot wound. My grief for this family and the many others knows no bounds. I’m so sorry this happened. I’m so sorry our leaders are worthless. I’m so sorry we are bound to repeat this again. 1) Thread - I have said everything I care to say about the massacre in FL. I have walked the halls of Stoneman Douglass. I directly know a person trying to pick up the shattered pieces of his life now. I call this community my own. 2) I think all of us know in our hearts something is terribly wrong with the weekly rate of these incidents. I will not lecture any of you on what to believe of how to respond. I will only tell you what I am going to do. 3) I am going to make it my life’s goal to support and vote for every single person who challenges a politician with NRA money behind them. 4) I am going to make sure that I read and educate myself as to why certain people refuse to do anything that resembles sensible gun laws and make sure they face early retirement. 5) I am going to be here as a voice of reason and walk proudly and tall through the echoing winds of madness as we continue to demand action in a familiar sea of inaction. 6) And finally I am going to remember the 17 dead, the many injured, and the thousands of others who have senselessly lost their lives to gun violence and I am going to fight in their name so that other parents and siblings never have to expiereince such trauma. 7) That is what I’m going to do. The question is...what are you going to do? It's not the first time Gad has spoken out about violence in South Florida. When threats were being called into Jewish community centers across the country, including a Jewish day school near Gad's childhood home, the actor tweeted, "Not sure how this has become the new normal. Disgraceful."